President Obama today released his proposed 2013 budget, which outlines his administration's recommended spending levels for all federal programs. Included in the budget is funding for the Children's Hospitals Graduate Medical Education (CHGME) program, the only federal program that supports the training of pediatricians and pediatric specialists in children's teaching hospitals. This vital program trains more than 5,600 pediatricians and pediatric specialists each year. The president's budget includes $88 million for CHGME. While this amount is far below previous amounts proposed for the program - and also far less than what could be considered adequate funding for the training of pediatric providers - it represents a reversal by the White House from last year, when the President proposed eliminating CHGME entirely. Fortunately, Congress did not take the president's suggestion to eliminate the program and provided $265 million for CHGME in 2012. We'll need your help to ensure that Congress once again recognizes the importance of providing funding to train pediatric specialists in 2013 and beyond. Simply put, fewer pediatricians mean less access to quality health care for our kids. As you saw in our last blog post, recent statistics have proven how successful CHGME has been. It's important that these advances in pediatric training be allowed to continue. The president also proposes $320 billion in other health savings, including $55.7 billion in Medicaid cuts which would be parceled out over 10 years. All of the Medicaid proposals in the president's proposed budget were previously included in his 2011 recommendations to the so-called "super committee." It's likely that the budget proposal offered by the House of Representatives will call for even larger cuts to Medicaid. (Not to mention the numerous threats Medicaid faces on the state level.) As you know, Medicaid is a program of great importance to our nation's children; nearly 42 million children - or one in three - is covered by Medicaid. In the coming weeks, we will outline several action items for you, as a concerned advocate, to urge Congress to support funding for and reauthorization of CHGME, and to oppose any cuts to Medicaid. In the meantime, keep checking back to this blog, as well as the Children's Hospital Association website and our Twitter and Facebook pages for breaking news and updates. Thank you for your continued advocacy efforts. The U.S. still faces a shortage of pediatricians, resulting in delayed care and longer wait times for sick kids. This has the obvious effect of risking harm for the patient, but also exacerbates the stress of already concerned parents and families. Twelve years ago, Congress created the Children’s Hospitals Graduate Medical Education (CHGME) program to provide funding to children’s teaching hospitals and ensure a robust pediatric workforce. Simply put, there is no other program of this kind in the country. Yet, the Senate continues to drag its feet on reauthorizing the program beyond 2012.It’s important that we continue to educate Congress about the huge benefits of this relatively small and affordable program. Please write to your Senators and tell them to pass S. 958, which would reauthorize CHGME for five more years. Children’s Boston saved my daughter’s life and Medicaid saved us from bankruptcy, Meg Comeau, Director, the Catalyst Center. On January 25, 2012, the Congressional Children’s Health Care Caucus helped host the first in a four-part series of briefings addressing why Medicaid is essential to children’s health care. The briefing addressed the basic structure of Medicaid, the children it covers, and how it serves families during an economic downturn. The briefing was sponsored by the Children’s Hospital Association (formerly the National Association of Children’s Hospitals), the American Academy of Pediatrics, Family Voices, First Focus, March of Dimes, and the Georgetown Center for Children and Families. Leighton Ku, Ph.D., a professor of health policy at George Washington University spoke to the fundamentals of the Medicaid program and how it works for children. He touched on the fact that children with Medicaid are more prone to health problems than children with private insurance and also discussed that in spite of this inequity, Medicaid is viable as a low cost way to provide health insurance coverage to children. Children on Medicaid are 25 to 30 percent less costly to cover than children with private insurance. The second panelist, Bob Duncan with Children’s Hospital of Wisconsin, spoke to the comprehensive structure of Medicaid’s Early Periodic Screening Diagnosis and Treatment (EPSDT) approach to care. This approach is particularly important to children with special needs. “Private plans do not provide EPSDT to children with special needs; these children receive better, more comprehensive care from Medicaid,” said Duncan. He also discussed the different types of Medicaid waivers and how they allow states the flexibility to tailor the program to best suit the needs of the state’s population. Meg Comeau discussed the importance of Medicaid to vulnerable populations, such as children with special health care needs. She argued Medicaid is essential to children with disabilities as 45.4 percent of these children rely on public insurance only, compared to 37.5 percent who rely on private insurance only. She also spoke to her personal experience as a mother of a child with a rare genetic disease, and explained that without the extra help Medicaid provided, her family would have faced bankruptcy. The final presenter, Jocelyn Guyer, spoke to the economic pressure the program has been under due to the poor financial situations facing state budgets. Indeed, more than 40 states have cut payment to Medicaid providers in their FY 2012 budgets. She also spoke to how the poor economy nationwide has affected families with children who qualify for Medicaid, stating that the Medicaid program has given families peace of mind during the economic downturn. She also provided a quote from a patient at Georgetown Center for Children and Families. During the question and answer session, the moderator, Jim Kaufman, vice president of public policy for the Children’s Hospital Association, responded to a question about ways to cut costs in Medicaid. He explained that proposals to simply block grant or shift costs to the states are the wrong way to go. “Block grants cause cost-shifting that further burdens the financially strapped state budgets. Instead, children’s hospitals want to improve access to care while reducing costs,” said Kaufman. The next briefing, scheduled for Thursday, March 22 at 1 p.m. ET in House Visitor Center room 201, will dive deeper into this topic and expand upon innovations in Medicaid payment models. For more information, visit tinyurl.com/medicaidmattersforkids. 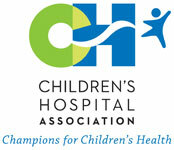 Children’s Hospital Association, 703-797-6059, ntorriente@nachri.org.